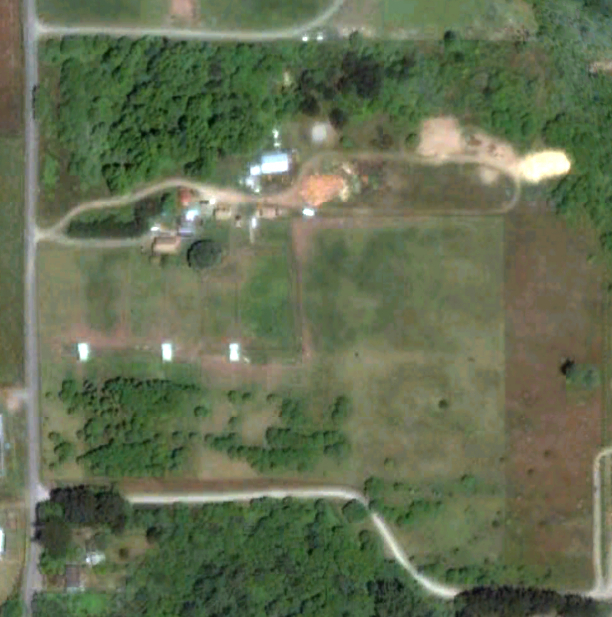 A Google Earth image of the goat dairy site. ARCATA/McKINLEYVILLE – Cypress Grove Chevre announced Wednesday, Aug. 10 that it has gone into escrow on a new, 38-acre parcel in McKinleyville’s Dows Prairie area for its goat dairy. The renowned cheesemaker canceled plans to locate the 1,400 goat dairy on the Arcata Bottom in June following harsh opposition from neighboring residents. Since then, with the assistance of Third District Supervisor Mark Lovelace and the county’s Community Development Services Department have been helping CGC identify new possible locations. Below is Cypress Grove’s press release announcing the news. McKINLEYVILLE – Humboldt County-based Cypress Grove Chevre announced today that it has agreed on terms and entered into escrow on a 38-acre site on Dow’s Prairie Road in nearby McKinleyville. The land is adjacent to other agricultural properties and will be home to Cypress Grove’s new goat dairy, which will supply much needed milk for the growing demand of the company’s line of award-winning goat cheese. “I’m pleased that we found such a suitable piece of land nearby the creamery,” said Mary Keehn, founder of Cypress Grove Chevre. “The fact that it is so close to our first site makes it a little nostalgic for me,” added Keehn, referencing her original dairy, creamery and home, which was also located on Dow’s Prairie Road when she started Cypress Grove Chevre in 1983. Substantial funding provided by Cypress Grove owner Emmi of Switzerland will enable Cypress Grove to build a modern, humane dairy by following proven best management practices. Herds will be maintained within well-ventilated and naturally lit indoor spaces while also enjoying outdoor access. Included in the plan will be efficient manure management that meets all government regulations and allows for productive re-use as fertilizer and soil amendment. The goat herd will begin with 200 carefully selected does and is expected to grow to approximately 1,200 to 1,400 over the next five years. The new dairy will create 12 living-wage, fully-benefited jobs between the McKinleyville and Arcata facilities and will help ensure Cypress Grove’s future in Humboldt County. Cypress Grove Chevre is the leading producer of fine American goat cheese, including the top-selling American artisanal classic, Humboldt Fog. Founded in 1983 by Mary Keehn, Cypress Grove continues a tradition of innovation by introducing original American cheeses to the marketplace, such as Truffle Tremor and new Herbs de Humboldt. Based in Humboldt County, CA, where the Redwoods meet the Pacific, Cypress Grove’s award-winning family of products can be found at fine retail outlets and restaurants across the country. Cypress Grove’s mission is to provide its customers with an innovative and unique selection of cheeses while taking care of its employees, community, dairies and the environment. This entry was posted on Wednesday, August 10th, 2011 at 12:37 pm	and is filed under News, Community, Animals, Environment. You can follow any responses to this entry through the RSS 2.0 feed.